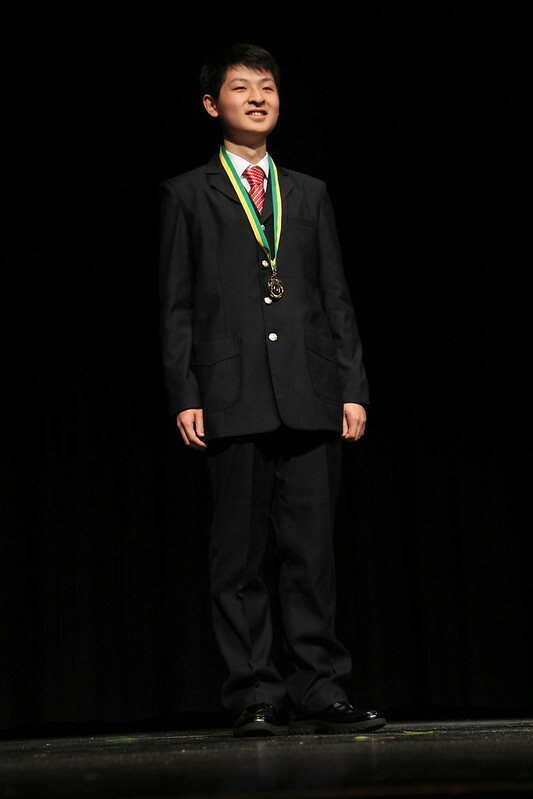 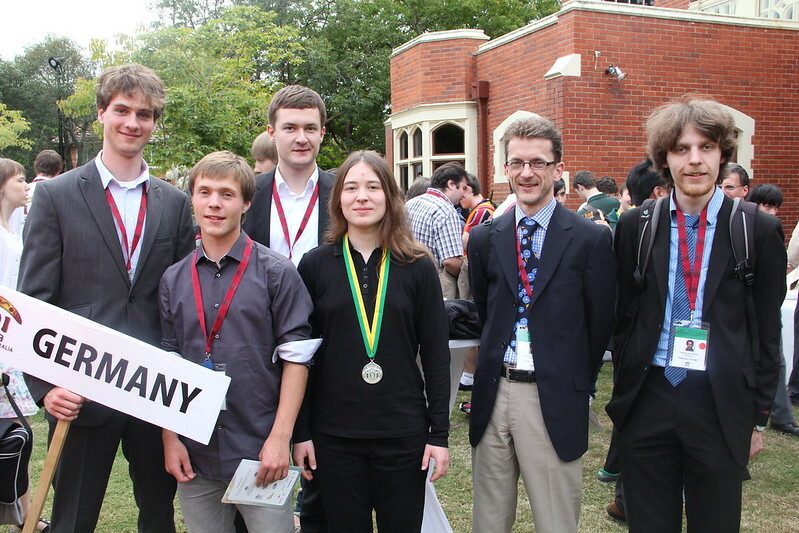 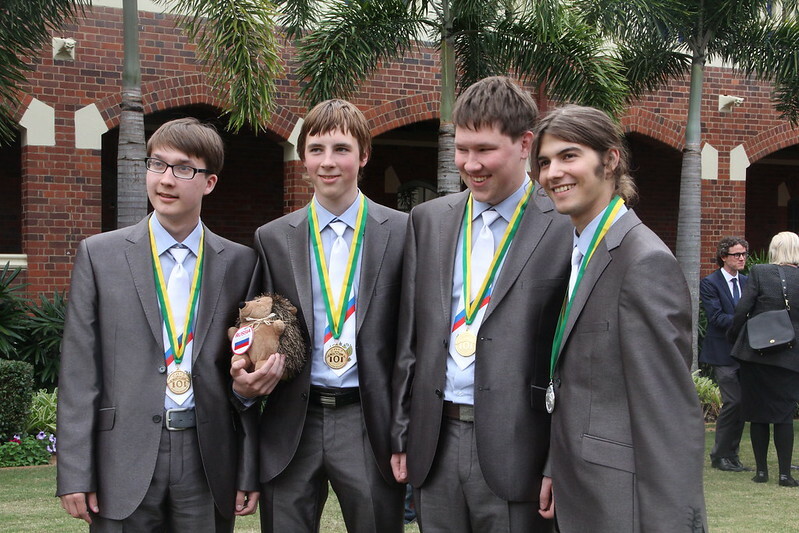 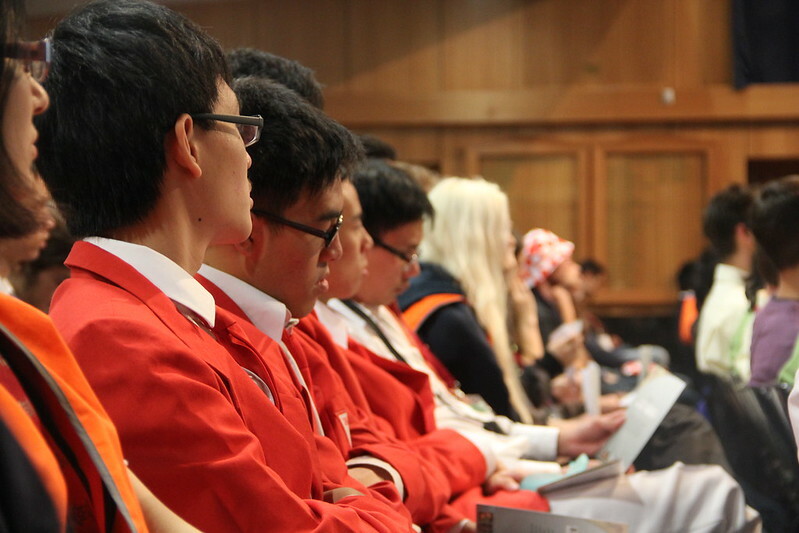 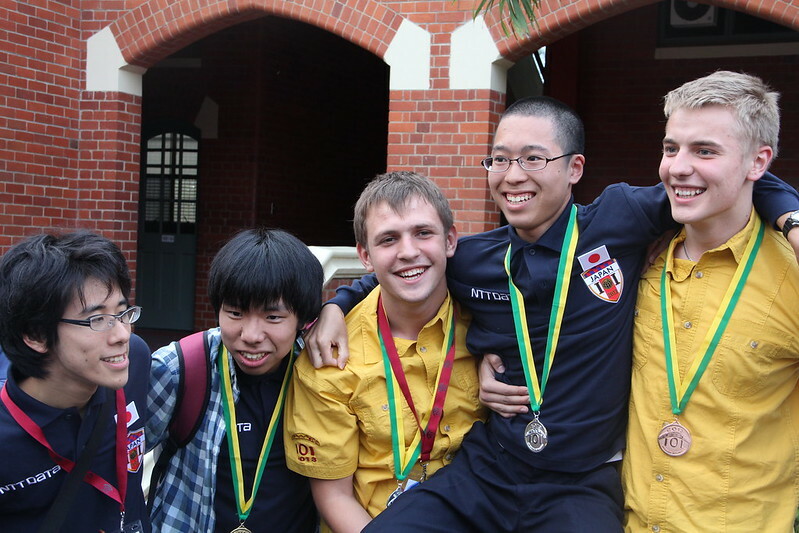 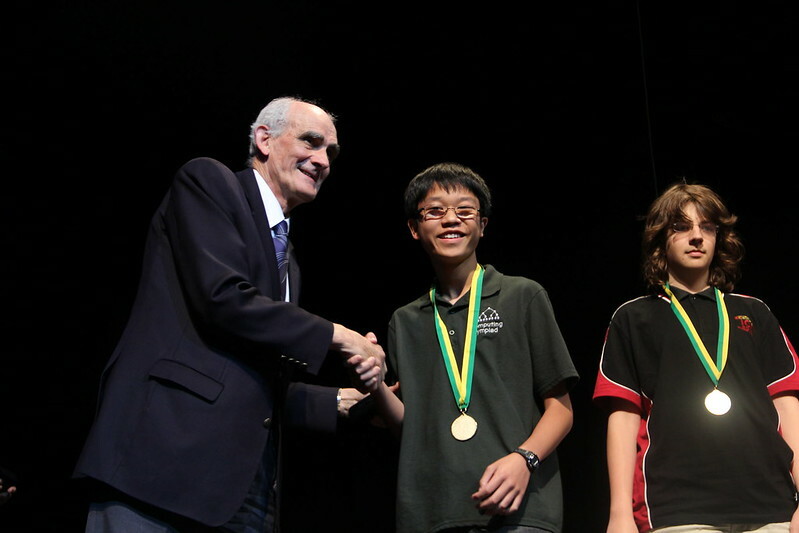 The International Olympiad in Informatics concluded on Friday July 12 with a vibrant awards ceremony celebrations at Anglican Church Grammar School in East Brisbane. 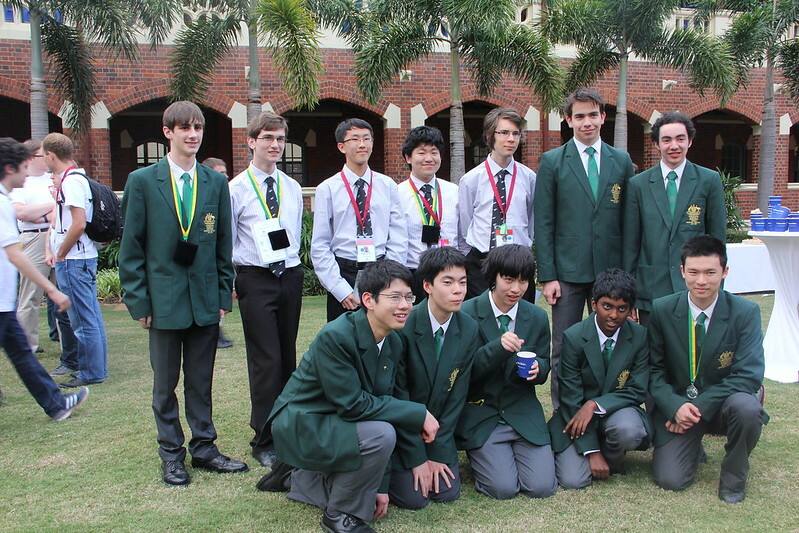 The Singaporean Team await award announcements. 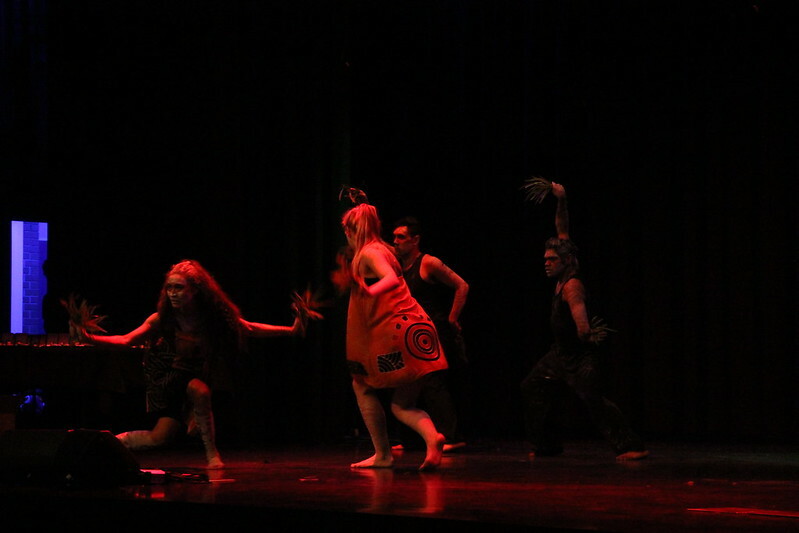 The audience at the award’s ceremony were entertained by traditional Indigenous Australian dance. 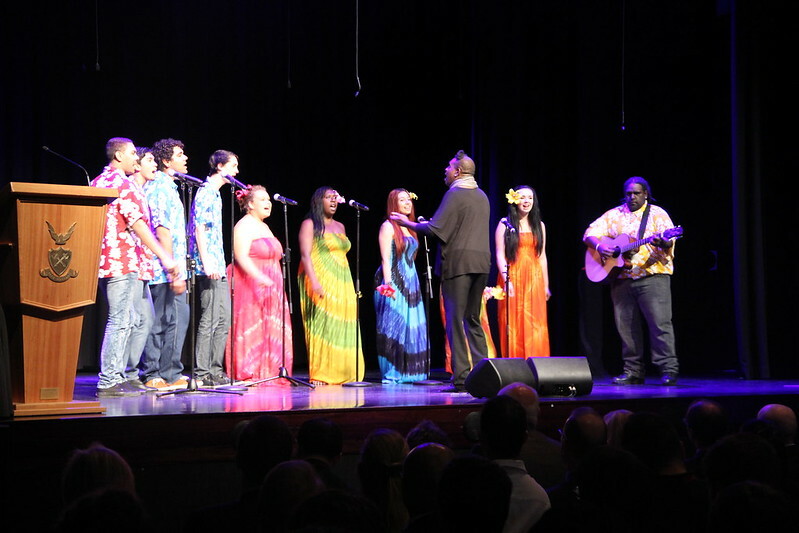 A Torres Strait Islander singing group performed for the IOI assembly before announcing gold medal winners. 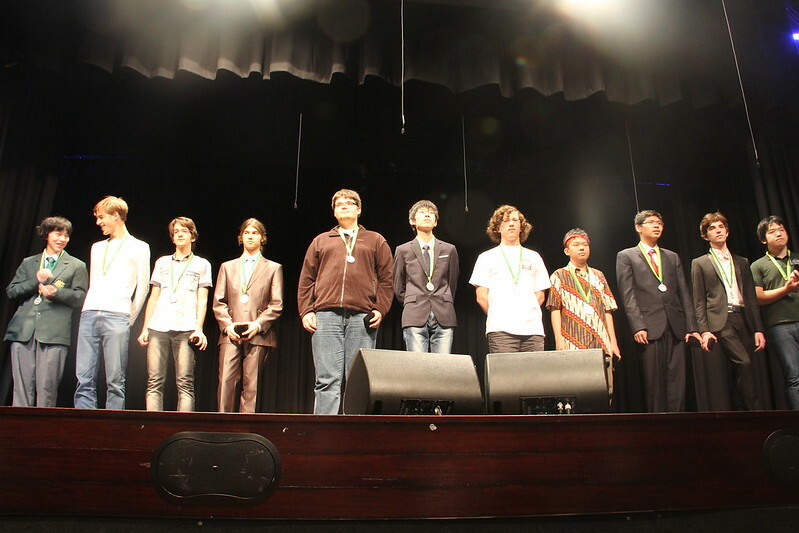 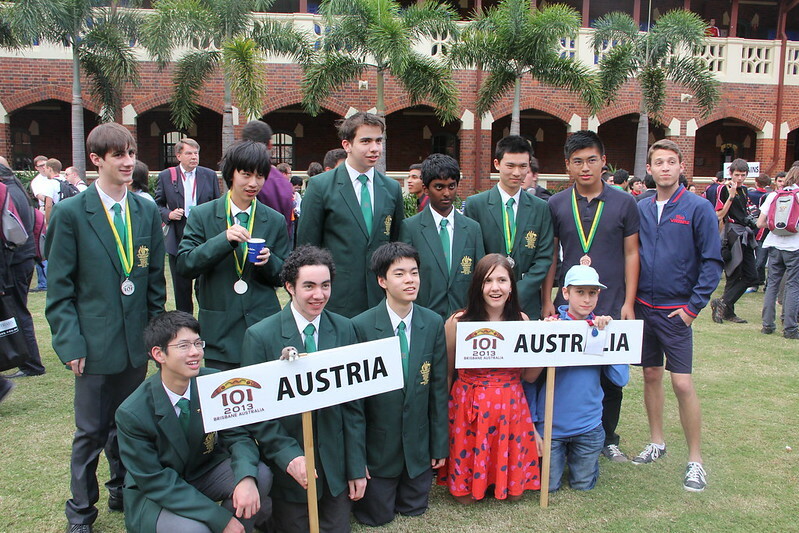 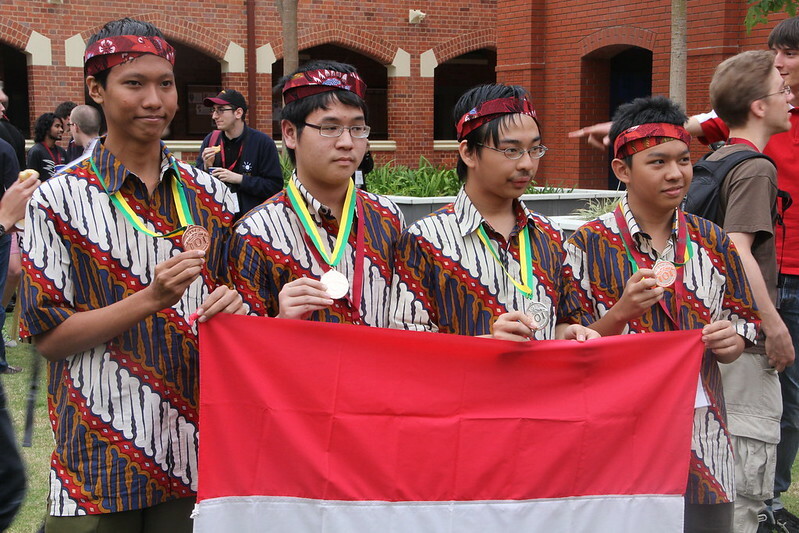 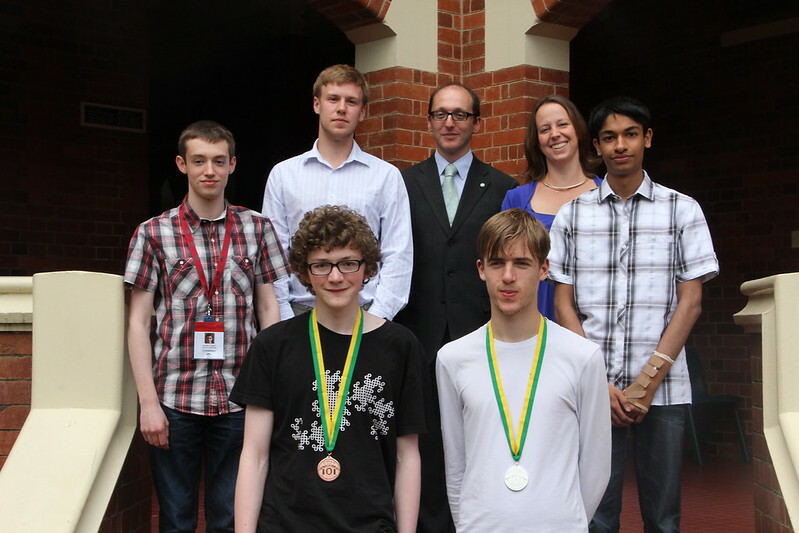 Australia’s Ishraq Huda (fifth from left) stands amongst one group of bronze medal winners in the IOI 2013. 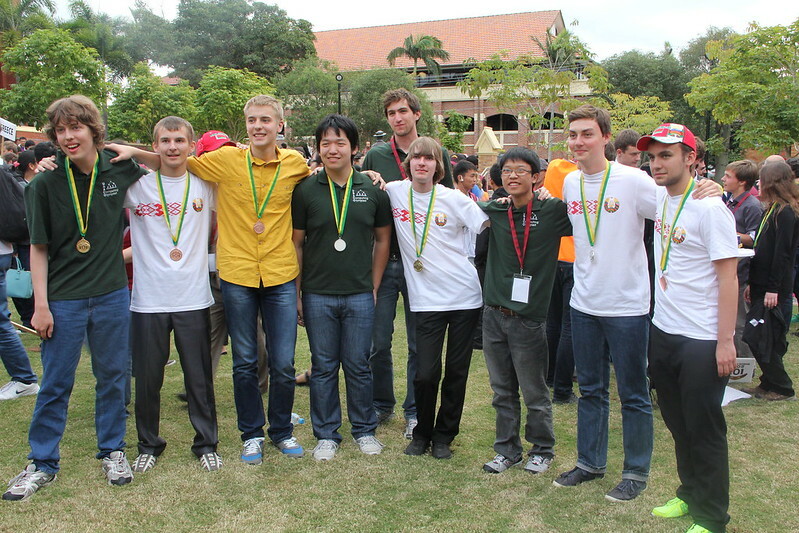 Silver medal winners at the IOI 2013 award ceremony: (left to right) Ray Li (Australia), Andrew Carlotti (UK), Danial Mehrjerdi (Iran), Riazanov Artur (Russia), Krzysztof Pszeniczny (Poland), Bumsoo Park (Korea), Marek Sommer (Poland), Nathan Azaria (Indonesia), Thanh Dat Duong (Vietnam), Jules Pondard (France), Johnny Ho (USA). 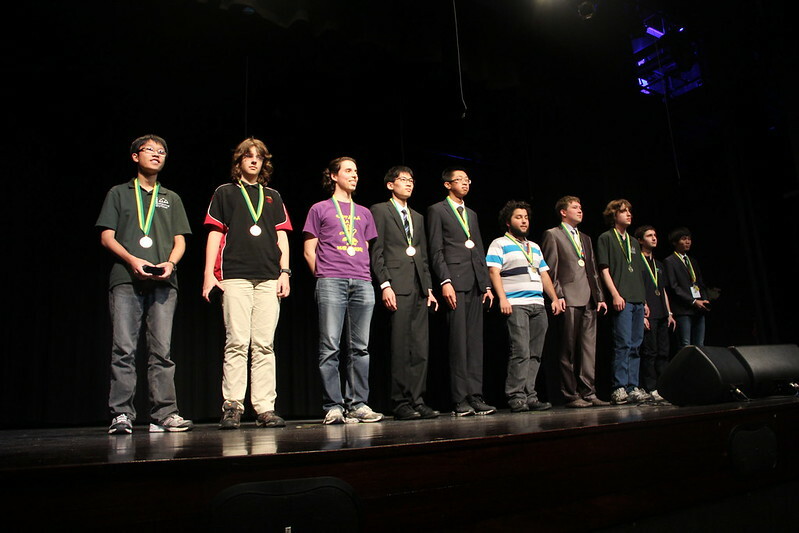 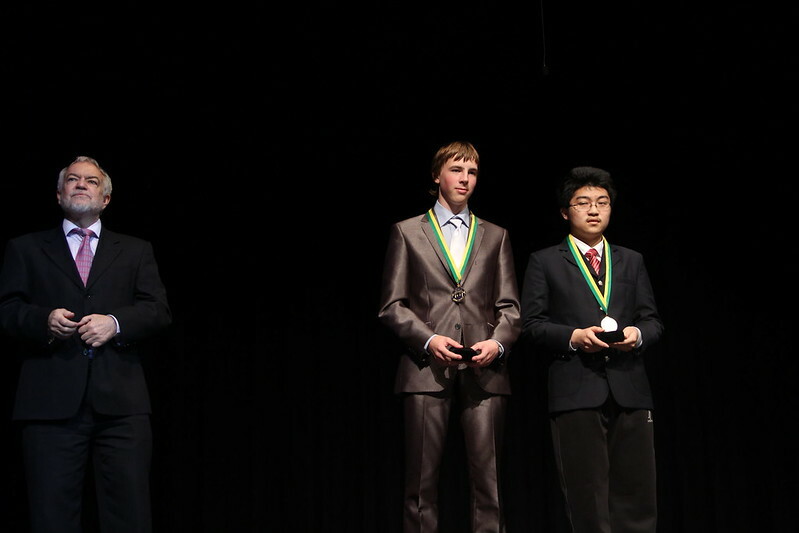 Scott Wu (USA) is awarded a gold medal for placing fifth in the IOI 2013. 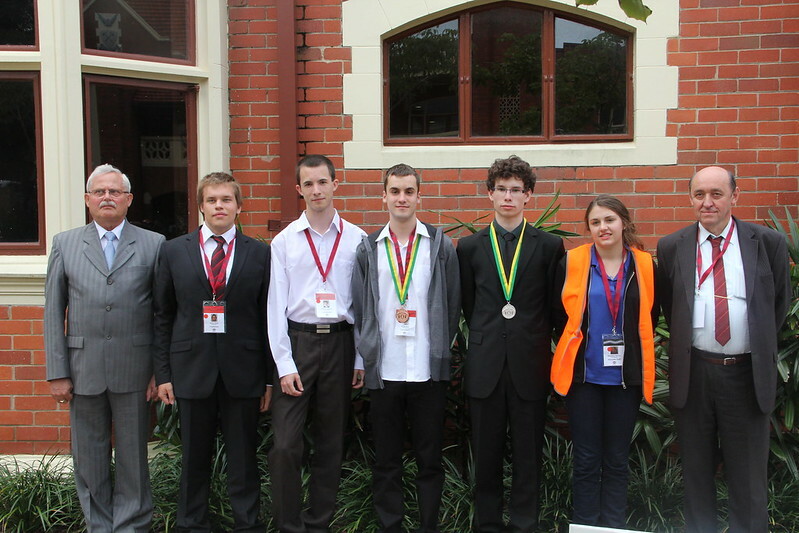 Tied third place winners Nikolay Kalinin (Russian Federation) and Haoran Xu (China). 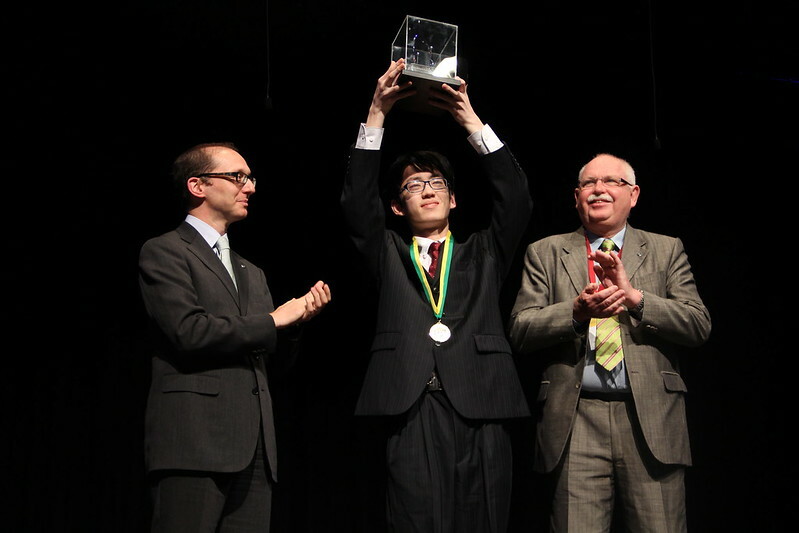 Second place winner Mingda Qiao (China). 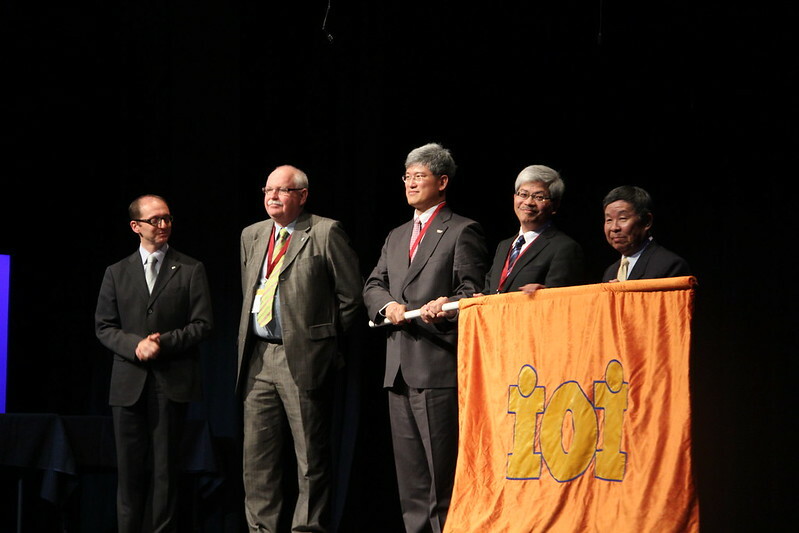 Passing of the flag – Richard Forster and Peter Taylor pass on the IOI flag to the Taiwanese delegate for the IOI 2014 to be held in Taipei. 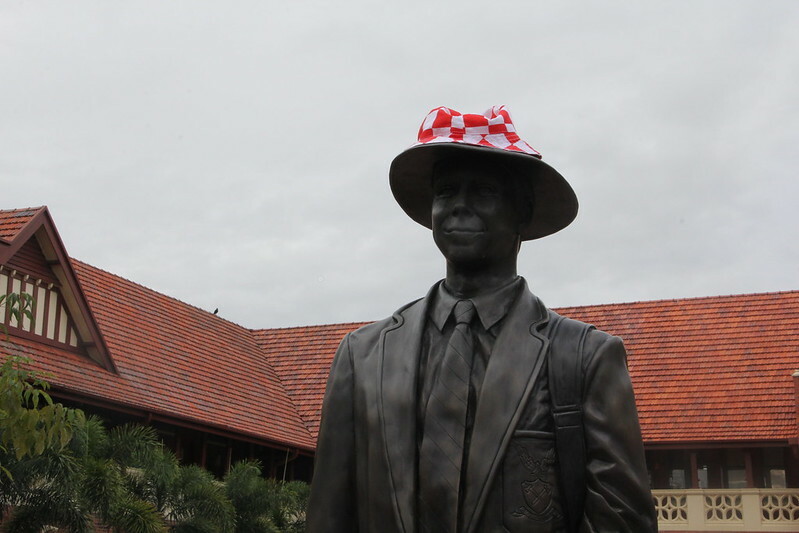 A Croatian hat is planted on statue in Magnus Quad at the closing ceremony at Anglican Church Grammar School in East Brisbane.